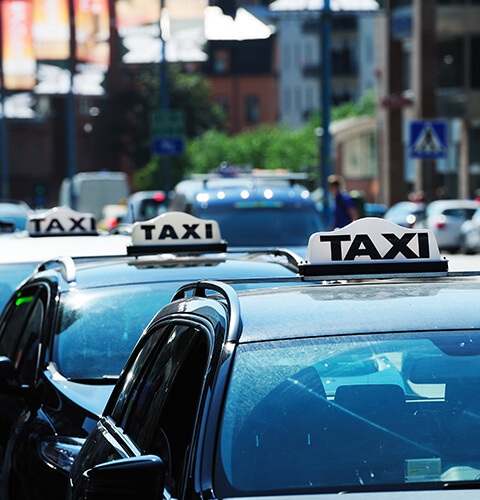 ChoiceQuote has a range of taxi products to suit a wide variety of taxi companies including insurance for taxi fleet, single taxi and taxi bases. In recent years, we have been working with Bollington Insurance Brokers to insure taxi fleet business to complement our single taxi book which has been built up since 1995. Taxi fleet insurance is available to public hire and private hire taxi business owners with vehicles registered to their business. Typically a taxi fleet is defined as 5 or more vehicles for the purposes of insurance although we can accommodate 3 or more vehicles. Our market leading cover can cater for a variety of vehicle types including vehicles with up to 10 seats. Vehicles up to 17 seats can be considered as part of the fleet if comprising 5% – 10% of your overall fleet. Well run taxi firms that are looking to insure 3 or more vehicles on a fleet basis. We can cover most licensing authorities although some exclusions do apply. We recommend speaking to your current insurer or broker to request a copy of your confirmed claims experience. It would also help if you had a list of the vehicles you are looking to insure, detailing makes, models and registration numbers. This covers your vehicle and liabilities you are exposed to in your trade. It is the law that every vehicle must have adequate and appropriate taxi insurance as defined by the Road Traffic Act of 1988. Taxis have to be insured for any accident or passenger injury they suffer during the course of the business as well as property or third party property. Taxis have to be covered for the carriage of persons for hire and reward. Simply call us on 0800 440 2177 to speak to our expert team or request a quote online. Please feel free to scan in your vehicle list and confirmed claims experience and send over to [email protected] with your contact details and we will call you to discuss your requirements.